admin June 19, 2018 June 19, 2018 No Comments on Device Drivers And Problems! According to Wikipedia, “a device driver is a specific type of computer software developed to allow interaction with hardware devices”. That’s a pretty good definition but let’s simplify it a bit more – they are programs that connect hardware components to the operating system so they can be used by other programs on the computer. An example would be a video driver. It tells the operating system what a particular display device such as an LCD widescreen monitor is capable of showing and how to send information to it. This ability to make your hardware work with your software is critical to using your computer. Why would a Device Driver cause a Problem? If drivers do such beneficial work, how can they be a common source of problems in personal computer systems? Why? – Because they are dependent on changeable parts of your PC. For a driver to work, it must be the right driver for the hardware device and also the right version of the driver for the operating system in use. This means that device drivers need to change as your operating system changes and, especially if you have automatic updates turned on, your Windows operating system changes quite a bit over time. Drivers also change. If users of a printer report problems to the printer manufacturer, the manufacturer may issue a new version of a driver to correct the problem or to give the printer a new function. How do you know that you have a Device Driver Problem? Have you ever had your computer act up for no obvious reason? Most of us have had that experience. Sometimes it may be a virus, a malware or a hardware failure but not always. The longer you have your computer, the more out of date your device drivers become as both your hardware and the Windows program change. You usually learn of your problem when some existing device just quits working properly or a new device you added doesn’t do what it should. As your current system ages and you upgrade your operating system or if you buy a new computer with a different version of Microsoft Windows (think Windows 7), your older devices such as printers may quit working correctly. How do you solve a Device Driver Problem? Simply put, you find the new driver and install it. This is sometimes easier said than done, especially if the company making your hardware device has gone out of business or just quit making new device drivers for that product. This means you must search the internet to see if a new one exists from another source. It is possible that a company made a new driver before it failed or was sold or just lost interest in the product but that driver may be very hard to find. If you need new drivers for a lot of devices, perhaps because you have a very old motherboard (motherboards have a lot of drivers! ), this may take a lot of time and you still might have the wrong drivers for your operating current system. The easiest way to stay current with your device drivers is to use an automated device driver download program. This kind of program will usually have a database that is constantly updated with new drivers from all over the internet and will also keep track of countless older, hard to find, drivers. This type of program will typically scan your computer, find all the devices on it that require drivers, compare the drivers with the drivers in its database and give you a report showing correct and incorrect drivers. Then you simply download and install the correct drivers and your computer is now capable of functioning at its peak performance. Through Driver Armor blogs, we can help you understand the best way to deal with device drivers. 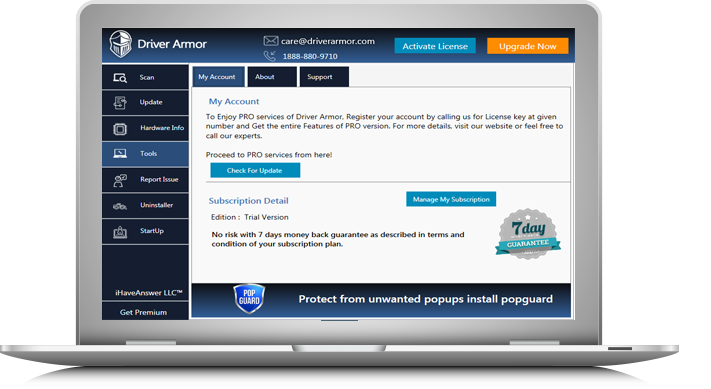 If you are having problems with older or missing device drivers, check out all blog posts at [https://www.driverarmor.com/]. Stay connected.